Benson got tagged in the ice bucket challenge. So instead of donating to an ALS charity, Benson bought two goats and a mosquito net for some children in Rwanda. 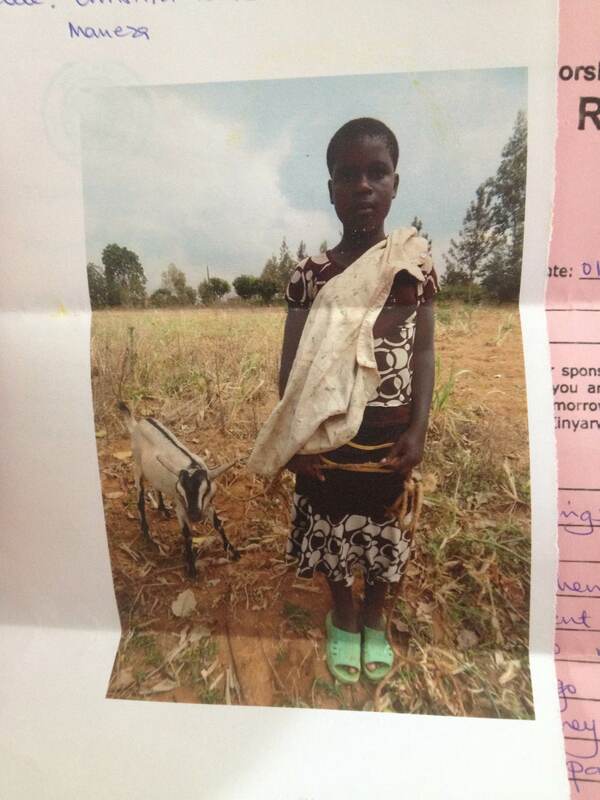 “…It was a really surprise when they gave me a goat that you sent to me when you didn’t even know my names. And suddenly the color I paint my kitchen cabinets isn’t so important anymore. Ha, I’m doing the same thing. Any time someone asks me to donate to a “charity of my choice,” I buy chickens, goats, or even a calf for Project Heifer. I’ve never gotten a letter from the recipient though. This was our first letter too 🙂 It’s through Africa New Life (think I told you about them before). PS – glad you’re still going to comment here even though you’re ditching Facebook!